I know readers will want to join me in wishing Lilo Blum many happy returns on her ninetieth birthday today. 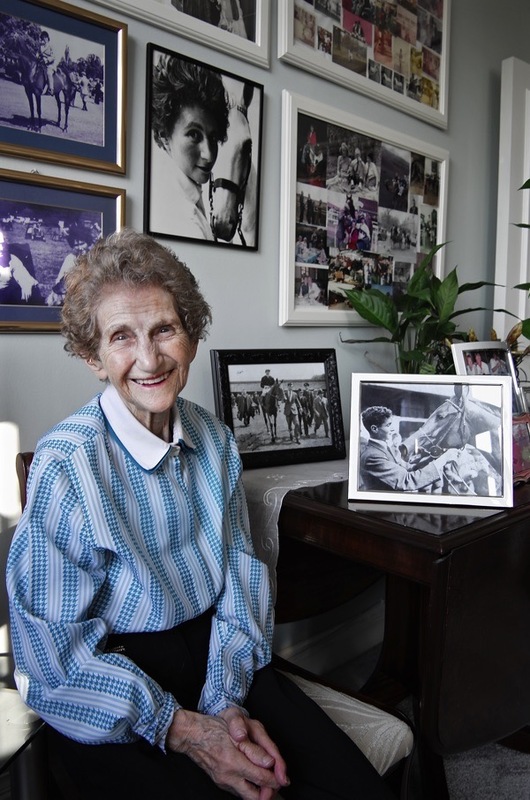 Born in Germany in 1927, Lilo and her family came to London as refugees escaping the Nazis in 1937 when she was just ten years old, but within a couple of years she had set up her own livery stable next to Hyde Park. Lilo Blum’s Riding Stables flourished for forty-five years as a popular London institution, occupying Lilo’s entire working life and proving an irresistible magnet for any celebrity, jetsetter or socialite who enjoyed a canter in the Park. I would certainly like to add my best wishes to Lila Bloom on her birthday. 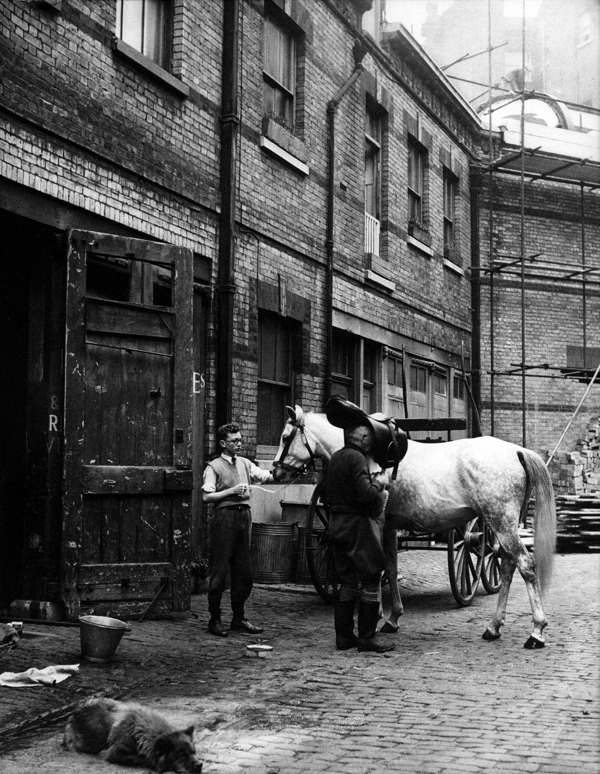 I used to hang about the stables over the 2 years in the early 1960′s that my parents lived at number 24 Grosvenor Crescent Mews and eventually they allowed me to have riding lessons which I loved. Jean Simmons and Stewart Granger rented our house for a month one summer when she was filming in London and we were away. There stables was a wonderful place, everyone loved having the horses there. GA, another great story – thanks for pursuing it. What a life Lilo had! Fascinating story. What a lovely lady! I used to ride at the stables in the sixties. If my memory is correct the lesson was a guinea an hour. We would ride to the park to rotten row. I used to live in Bishopsgate and get the train from Liverpool Street. I was probably only about 12 but I used to go there on my own with my riding attire on. I loved it and have had horses for 40 years as the love of horses has never left me. Happy birthday LILO thank you for teaching me to ride. Another great post. Love the information, the presentation of this blog. In the background, I can hear the words to the song….nobody does it better! This is certainly true of Spitalfields Life. Very Happy Birthday Lilo so pleased Phil sent me this article about you. Remember all your visits to our showrooms where we had a lot of fun. You look great in the photograph. I learned to ride from Lilo and purchased my first pony from her. Bouncer. Such great memories. Would love to see her. I learnt to ride as a young girl. 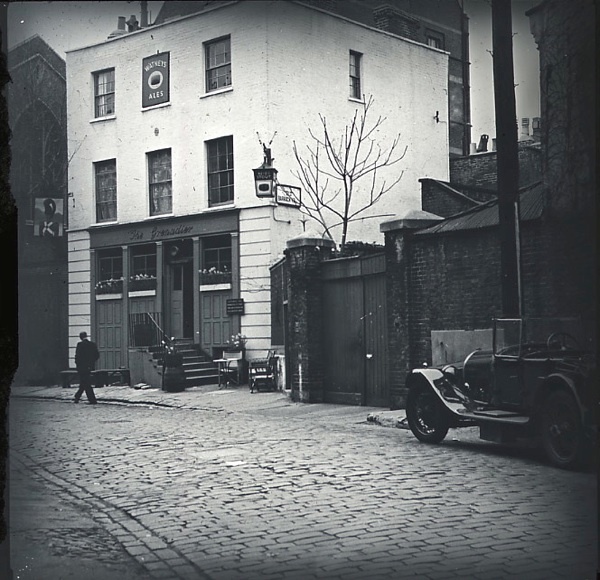 My family lived in Lowndes Square. Lilo gave me confidence trotting round Rotten Row. My mother rode at the stables in the 50′s. Her favourite horse was extremely tall & called Bubbles. Fond memories! Sadly, I never got to ride at Lilo’s establishment but used to ride from the other side of the Park. I’d always understood that the Grosvenor Crescent stables had closed after a fire that killed some of the horses/ponies at a time when the adjacent prime-site NHS St George’s Hospital was about to be converted into a luxury 4-star hotel and the stables were naturally in the way. Was the fire the main reason for the closure? I was riding with Lilo the day she stopped the Household Cavalry and told them off for being too noisy as her horses were frightened! I have known Lilo for 45 years and been on holiday with her many times as well as stabling horses with her. I came to your stables at Ham Polo in 1989 with Voltaire my beloved horse. Your stables, the friendly atmosphere and your always ready advise about horses and riding saved my morale during this difficult time of transition for me. I met one of my best friends at your stables that first year. Pat Erskine. We are still friends. She came to my 70th in NY last year and always keeps me up to date on how you are doing. I loved reading the article. You are such a special lady. No nonsense or fancy stuff no matter who you are around. It is always first about the horses and how their riders treat them. I admire your consistent love and respect for this glories sport and most of all for your love of horses. I helped out/worked for Lilo during the early 80′s (I remember you Gabbie and your skewbald)! I had a wonderful childhood there and met many wonderful people. Happy belated birthday LILO I always remember you in your Tam o’ shanter! With paddy the Labrador and the cat who sat in the saddle rack above the door! Fun times. At age ten, in 1969, I lucked in to weekly Rotten Row riding lessons on a sweet bay gelding named Golly, maybe Golliwog. My dad studied at University of London and we lived in Ebury Street with my mother and younger sister. Riding at Lilo Blum’s instilled riding confidence that comes with traffic-savvy stress and a huge appreciation for London. I think of those days still and I still have two horses and ride nearly every day. Happy Birthday Lilo. Thank you again for teaching me to ride as a child, and giving me a love of horses that has lasted my whole life. I am still riding at age 63 . I am so happy to read your reminiscences of your life as a horse person, and the wonderful stable at Grosvenor Crescent Mews. Many happy memories for me and for many other (now grown) children. Lilo Blum, wonderful to come across this article. Do you remember when Robert Grigg and I used to ride with you on Sunday mornings. George Rigby used to take us out to Rotten Row. We both always wanted to ride Camille. We looked forward to Sunday mornings all week. As I recall we were often down at the stables pleading for rides. It was a fantastic time in our lives. Thank you for teaching us to ride. I loved bumping into you in later life when you still lived in Old Barrack Yard. Very, very happy memories. Thank you. Hi Lilo, I met you in the late 70’s early 80’s when my girlfriend at the time Cassandra was teaching me to ride in Richmond. I remember going to the stables near Hyde Park with her, which was like going back in time. I recently cycled past the stables at Ham Polo which brought it back for me so I googled you and here I am! Good to see that you are still thriving.